[EXCLUSIVE REVEAL] Brand New City of Bones Book Cover! Cassandra Clare's well-loved novel, City of Bones has been treated to a brand new cover inspired by ABC Family's Shadowhunters. Check it out here first! 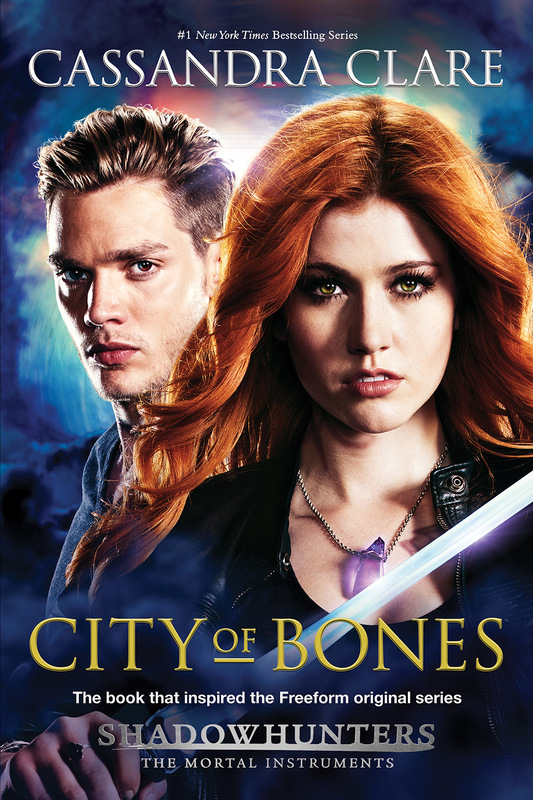 Cassandra Clare's City of Bones TV Tie-in Edition featuring exclusive cover art from the show! This new paperback edition will be available wherever books are sold December 22, 2015! Don't forget to order your copy today, you don't want to fall victim to a sold out sign! And while you're at it, why not follow author Cassandra Clare and SimonTeen for all of the latest news. Just click on the links below!